Honey is the most beautiful of foods. Used in so many ways, virtually everyone enjoys the sweet, luscious taste of honey. As beekeepers we have many priorities, hopefully focused around helping our bees year-on-year. But every beekeeper is eager to enjoy the honey his or her own bees have produced. A wonder of nature it most certainly is, but if you look after your bees they will reward you by the jarful! This is the first of two lessons introducing the harvesting of honey. Here we explain why your own honey is so unique and look at the various forms of honey you may wish to produce. Then, before we look at the specifics of harvesting honey, we look at how you can prepare upfront, ready for an effective, rewarding and fun process. Whatever your plans, whatever form of honey you decide to make (see below), however long you wait and whatever method you use to harvest your honey, one thing is sure – your honey is totally unique. We have seen the wondrous manner in which bees create honey. It is truly one of nature’s most amazingly collaborative stories, with tens of thousands of bees working together to create and store large volumes of honey (except for drones, who have other things on their mind!). 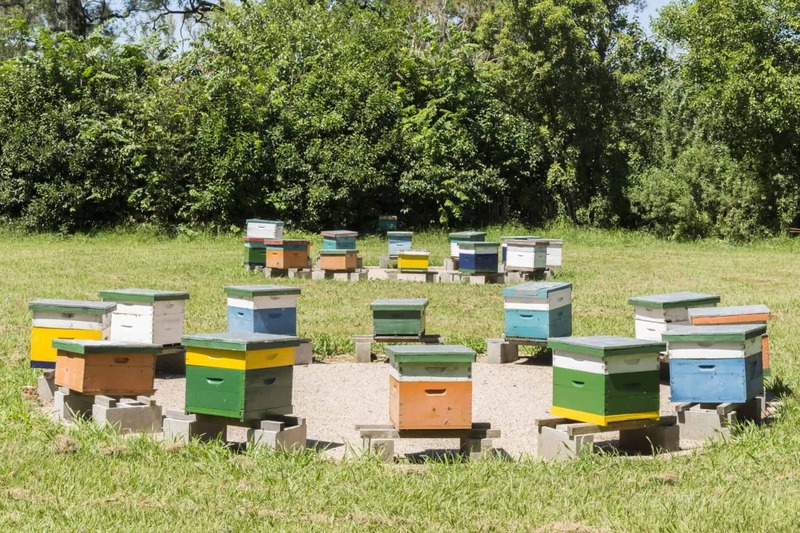 But aside from the industry and sacrifice of the bees, there is a fascinating relationship between the local environment and the nature of the honey produced. Honey is a reflection of the very large collection of flowers visited by bees. You, as a beekeeper, are likely to have very little say in this. Your bees will forage far and wide and you need to control a lot of land to have any real say over what your bees collect. Indeed, beekeepers will almost always have bees that create wildflower honey, which merely means that the honey is produced from the nectar of a wide variety of flowers. There is, of course, absolutely nothing wrong with this and the result can be a delicious blend. For the very fortunate, you might even experience the strange and unexplained joy of purple honey! 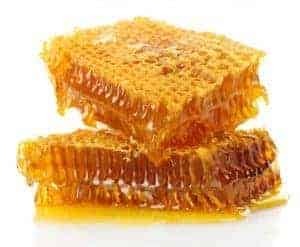 Apart from the taste and color of honey, which is probably outside of your control, you do have options when it comes to the forms of honey you harvest. 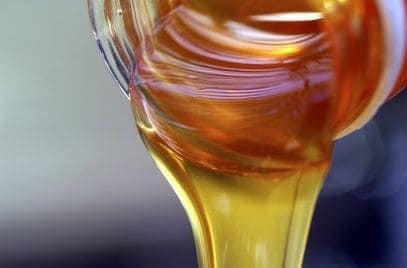 The most common form of honey is extracted honey. This is merely the sticky stuff you buy in a jar from the supermarket – or, if you want to improve on that considerably, the honey you harvest yourself and place in your own jar! Another popular way to prepare and sell honey is as comb honey. This, as the name implies, is honey as it came from the hive, namely still in the honeycomb. The entire treat – both the honey and the comb – is edible. It also requires virtually no preparation or processing. Simply take the honey-laden comb from the hive. That’s it! You should, of course, check that you are retrieving from a box that has no brood. Chunk honey is part extracted honey and part comb honey. Put another way, you take a section of comb honey, put it in an appropriately wide-mouthed jar and then submerse it in extracted honey. It’s a rather curious way to package and sell honey. Honey has the remarkable property of never spoiling. Perfectly edible honey, albeit not enough to cover your toast, has been located in the fossil record! While it won’t spoil, it will crystallize, with course granules often large enough to see. The honey may also harden. But, even with these physical changes, the honey is still quite edible. Whipped honey, which is very popular in Europe, is similar to that form of regular honey, but with the granules being very small. The result is a smoother, creamier honey that is very spreadable. In the next lesson we will look at the details of harvesting honey. First, though, let’s set the stage by describing some of the things you will need, apart from the equipment and tools we will discuss later. You will need some space! Depending on your expertise, equipment and time commitment, you will need to be organized too. It is important that you harvest your honey indoors, such as in a garage. Spilling a mere drop of honey near your hive may invite robbers. Think about that – if you harvest your honey outdoors you will be hanging a huge “come and get it” sign, around the spot on which you are working. Yes, it’s sticky and messy. Some equipment may help reduce the risk of spills and mess, but nothing is assured. Being able to rinse off and clean up a few spilled drops of sticky honey makes the whole experience more enjoyable. Certain tools, such as an uncapping knife, need electricity, so make sure you have ready access in your harvesting location of choice. In our next lesson we will look at the hardware and tools you need to harvest your honey.